Wingspan about 28 mm. Quite distinctive, and unlikely to be confused with any other British species. 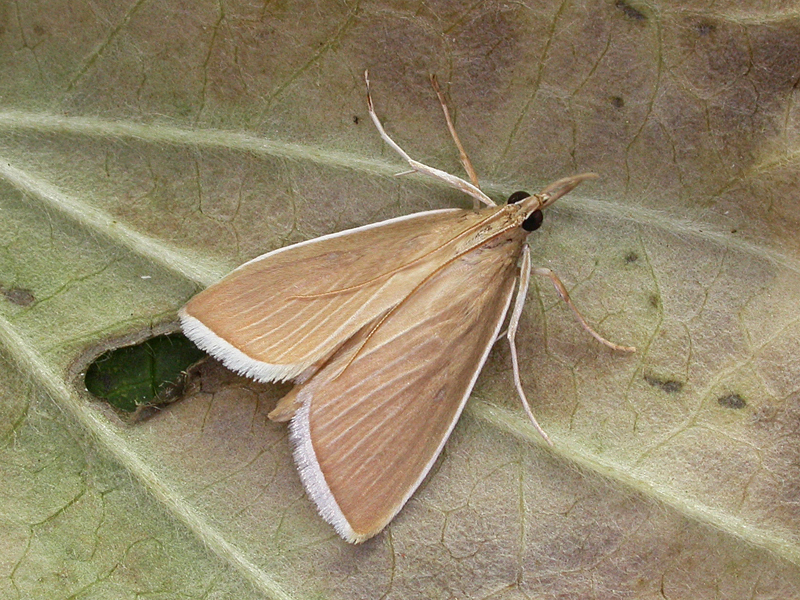 An adventive species, believed to have been introduced with reeds imported from central Europe for thatching cottages, though it is possible that some are true migrants. The adult moths fly from June to August. The first record was from Hampshire in August 1988 and since then there have been a number of records, many of which have been in close proximity to newly-thatched cottages. In the Butterfly Conservation’s Microlepidoptera Report 2011 this species was classified as Migrant/Adventive.